If you're a mobile developer, you need to learn PHP and MySQL too. Most mobile devices consume web-based services. There is no easier way to create web services designed to be consumed by mobile devices than PHP. Register before 05 Apr 2019 for only RM1,299 per person. Register before 05 Jul 2019 for only RM1,299 per person. This 2-day PHP programming course is designed to enable web developers and other beginners with limited programming experience to build dynamic e-commerce web sites with the PHP programming language. As PHP is a rich and task-specific language, this course will cover some of the most important range of functions in depth, and allow delegates to understand the remaining less crucial aspects. The contents of this PHP course are similar to our 3-day “PHP for Programmers” course, just that it is adjusted to accommodate the needs of public delegates as well as non-programmers. At the instructor's discretion, some modules printed on the training material may be skipped if the pace is slightly slower than expected. 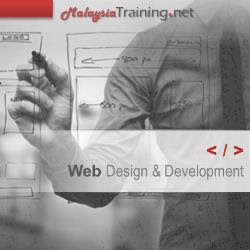 Basic knowledge of HTML and HTTP is a requirement; some knowledge of CSS, SGML and XML would be a definite advantage.